Apologetics Press - "Jesus Gave Him No Answer"
"To err is human," the poet rightly said, and apologists are humans. But as apologists, it is also inevitable that the writers and speakers for Apologetics Press will be unjustly criticized, viciously and publicly attacked, brazenly misrepresented, unethically plagiarized, or even outright lied about—and not infrequently. After all, Jesus predicted that persecution will come to those who attempt to speak the truth (John 15:18-20). From time to time, individuals will witness examples of such shocking behavior and ask us with incredulity, “Do you guys respond to that kind of behavior? And if so, how! ?” Answers range from, “The best we can, though not always perfectly” to “sometimes better than at other times” to “not always in the wisest ways, but always with the desire to defend the faith and trying to speak the truth in love.” The real question in our minds, however, is not “How do we respond?” but how does God tell us to respond to that type of persecution? Jude 3 tells us that we are to “contend earnestly for the faith,”1 but how? Jude 3 is a mandate, but it does not prescribe a manner. Scripture certainly has a lot to say about the attitudes we should have when we are publicly mistreated and the ways we should respond to people, making it clear that different people and situations often call for different approaches. While we should always speak the truth in love (Ephesians 4:15), it is also true that sometimes love demands different approaches. The New Testament tells us repeatedly that agape love is fundamental to Christianity.2 Without love, one simply cannot be a Christian (1 John 4:7-8). That single motivation—to love—would govern every decision and action that a Christian takes, if he would be perfect. After all, according to the New Testament and Jesus, Himself, sin ultimately boils down to a lack of agape3—love towards God and our fellow man. Notice, then, that love is not a feeling, but a choice (1 John 3:18). If we were to summarize the definition of agape in one word, it would be unselfishness, and it is always manifested through some form of a selfless act.5 That attitude encapsulates Who God is (1 John 4:7-8), while the opposite—being self-serving—is described as being demon-like (James 3:14-16). Truly, if we wish to be like God, we will unselfishly put ourselves aside and do what’s best for others, even when they are mistreating us. That said, a common misconception about biblical love is that it can be defined solely as being gentle, tolerant, and without judgment. If one were to be anything else in his evangelism or defense of truth, he would be unloving and guilty of sin—according to the common misconception. In truth, biblical love is not always manifested gently,6 with tolerance,7 or without judgment.8 In truth, different approaches are appropriate at different times. Sometimes rebuking—an approach we would not generally deem gentle—might be necessary (Luke 17:3), while at other times admonishing/warning (Romans 15:14), edifying/building up (Romans 14:19), or exhorting/encouraging (Titus 1:9) are appropriate. Notice, however, that in all cases, love is the motivation: a desire to do whatever is necessary to help others be pleasing to God—whether through gentle pleading (Galatians 6:1) or through “tough love” (Hebrews 12:5-11; Titus 1:13). Further, boldness is certainly encouraged for evangelists (Acts 4:29), but it is to be tempered with humility (2 Timothy 2:25), prudence (Proverbs 22:3), and being slow to speak (James 1:19), as Peter learned the hard way on more than one occasion.9 Knowing the best response for each situation would require more wisdom than any single human could have, which is why humbly gaining knowledge through experience (Proverbs 16:31), study (Proverbs 10:14), and counsel (Proverbs 11:14) is emphasized in Scripture. Preparation for the day of persecution and challenges to your beliefs is also emphasized in Scripture. Peter reminds us to “always be ready to give a defense” (1 Peter 3:15), since there will be a day when a person will ask us why we have hope in God, if we are living as we should before them. So we should strive to “be ready, in season and out of season” (2 Timothy 4:2) to use whatever tactic might be appropriate in various situations—whether it be merely convincing them of the truth, or rebuking, or exhorting another Christian. Such readiness takes diligence—incessant study and preparation (2 Timothy 2:15; Acts 17:11). That said, Who better to study to learn how to respond to public persecutions and challenges than the Chief Apologist, Himself—Jesus Christ? After all, it is He Whom the Christian must emulate. Reading through the gospel accounts, watching how Jesus chose to respond to His critics, is a fascinating practice. Jesus was never looking for a fight, but was always prepared to contend for the Faith and defend Himself when necessary, and chose to do so many times throughout His ministry. Typically, He did so seemingly dispassionately—using pure logic and reason.10 The word used to describe Him in 2 Corinthians 10:1 is “meek”—the word often used to describe, not a wild bull in a China shop, but a trained war horse: strength and fearlessness that is bridled or under control. 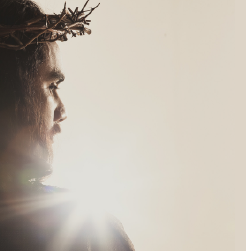 Jesus recognized that He had ultimately nothing to lose by teaching the truth and, therefore, did not get “riled” up and respond defensively to skeptics and antagonists. That is not to say, however, that He never showed passion when the circumstance called for it; but He was always controlled in His responses, being fearless of the possible consequences. Oh that we all could emulate our Lord in this regard. At times, we at Apologetics Press have been criticized for not responding to every comment on our Facebook page or choosing not to debate every person who wishes to engage us in a public debate (which apparently some do not realize happens often and would require several more full-time representatives than we have on staff). 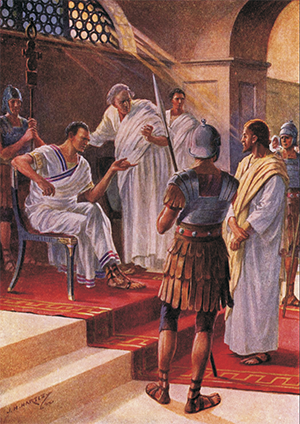 Of particular interest to those of us that study apologetics is the observation that, though Christ was always ready for a debate, He also knew when not to do so—whether because the timing was not right for a response, a response would be pointless (e.g., Matthew 21:27), or a response would even be detrimental to His ultimate cause. Just because a person challenged Him did not mean that He felt He needed to respond. Since the human inclination is to respond to every person, lest we be perceived as not having an answer and, hence, “losing the debate,” Jesus’ wisdom is awe-inspiring. In Matthew 7:6, while preaching the greatest sermon the world has ever heard, Jesus warned His audience that some people do not care about the truth and are like “swine”—unworthy of the valuable information we might wish to impart. If we choose to proceed and reason with the “pigs,” they are likely not only to stamp on the valuable jewels we have given them, but they will likely stampede us as well. In Proverbs 26:4, Solomon admonished the wise, “Do not answer a fool according to his folly, lest you also be like him.” The principle is clear: if the person or people to whom we are talking are not genuinely interested in the truth, to spend time trying to convince them of the truth would be wasteful and potentially even dangerous or counterproductive. In Matthew 10, Jesus again warned His apostles that there will be those who “will not receive you nor hear your words” (vs. 14). In such cases, they were not to continue pressing the issue, but rather, “shake off the dust from your feet” and move on—a practice which Paul and Barnabas implemented in their evangelistic journeys as well (Acts 13:51). With that principle in mind, it is noteworthy to see Jesus’ implementation of that principle in His own life. At times, He chose to respond to challenges, depending on the audience, but at other times, He chose not to do so, in spite of how He might be perceived. For instance, when challenged by the chief priests and elders in the Temple to announce who gave Him authority to teach, after posing a question of His own, Jesus chose simply not to respond to their question (Matthew 21:23-27). Surely the most notable example of Jesus practicing what He preached about remaining silent at times was what was prophesied about Him in Isaiah 53:7 regarding His crucifixion: “He was oppressed and He was afflicted, yet He opened not His mouth; He was led as a lamb to the slaughter, and as a sheep before its shearers is silent, so He opened not His mouth.” All four gospel records highlight Jesus’ refusal to respond to various attackers in the illegal trials leading up to His crucifixion.11 Again, His willingness to remain silent when most would respond defensively was a manifestation of such superhuman self-control that Pilate “marveled greatly” (Matthew 27:14). The principle is clear: there are times when not responding to attacks is the best course of action. We would do well to gain the wisdom necessary to recognize those moments. We pray that God will grant to all Christians in the perilous times in which we live the wisdom to know when to fight and when to remain silent, as well as the boldness to fight when the time calls for it. 2 James 2:8; 1 John 3:13-18; 4:7; John 13:34-35; 1 Corinthians 13:1-3; 16:14; Colossians 3:14. 3 Matthew 22:36-40; Galatians 5:14; Romans 13:9-10. 4 Galatians 5:23; Romans 5:8; 1 John 4:10; John 3:16; John 15:13; Matthew 5:43-48; cf. Endnotes 2 and 3. 5 Matthew 7:12; 16:24; Philippians 1:15-17; 2:3-8; 1 Corinthians 10:24; 2 Corinthians 5:15. 6 Hebrews 12:6; Titus 1:13; Proverbs 15:10; 20:30; 27:5; Hosea 6:5. Consider Jesus’ behavior in John 2—overturning tables and making a whip of cords to drive the moneychangers and animals from the Temple. Consider also that sometimes loving a child involves physically striking him (Proverbs 13:24). Note that the term translated “gentle” in 2 Timothy 2:24 (apiov) means to be “kind toward someone”—a significant distinction in this case [William Arndt, F.W. Gingrich, and Frederick W. Danker (1979), A Greek-English Lexicon of the New Testament and Other Early Christian Literature (Chicago, IL: University of Chicago Press), second edition revised, p. 348]. The ESV, NIV, RSV, and NASB renderings capture this meaning. One can be kind to someone and simultaneously not necessarily be gentle, as the above passages indicate. 7 2 Thessalonians 3:6,14; Titus 3:10; Romans 16:17; 1 Timothy 5:20. 8 John 7:24; 2 Corinthians 5:10. 9 John 13:5-9; Matthew 16:22-23; 17:1-5. 10 Dave Miller (2011), “Jesus Used Logic,” Apologetics Press, http://apologeticspress.org/apcontent.aspx?category=11& article=3755; Dave Miller (2011), “Is Christianity Logical? [Part I],” Reason & Revelation, 31:50-59, http://apologeticspress.org/apcontent.aspx? category=12&article=3869; Dave Miller (2011), “Jesus Was Logical,” Apologetics Press, https://www.apologeticspress.org/APContent.aspx?category=10&article=653&topic=71; Dave Miller (2011), “Jesus Was Rational,” Apologetics Press, http://apologeticspress.org/APContent.aspx?category=10&article=1245&topic=71. 11 E.g., Matthew 26:62-63; 27:13-14; Mark 14:60-61; 15:4-5; Luke 23:9; John 19:9.